Another joint project of the ESA and NASA, the Solar Heliospheric Observatory, or SOHO, was launched in December 1995 via an Atlas Centaur rocket. SOHO has been keeping a watch on the Sun since April 1996 and is in orbit around the Sun in a region between the Earth and Sun where the gravitational pull of the two bodies are in balance (about 1.5 million km from Earth toward the Sun). SOHO contains instruments that are studying changes in the Sun's interior, corona, and solar wind. One of SOHO's instruments, called LASCO (Large Angle and Spectrometric Coronagraph), monitors a huge region of space around the Sun 24 hours a day. Two other instruments, SWAN and MDI, allow scientists to 'see' what is happening on the far side of the Sun. SOHO finished its planned two-year study of the Sun's atmosphere and surface in April 1998. Communications with the spacecraft were interrupted for a while in June 1998, but regained in September of that year. It is still operating 10 years later. Not all interplanetary space probe missions are successful. The first three of the USSR's Mars probes in 1960 and 1962 failed to reach Earth orbit. Mariner 8, launched by the USA in 1971, also failed to reach Earth orbit. The Mars Climate Orbiter, launched by NASA in December 1988 and designed to function as an interplanetary weather satellite, was lost on arrival at the planet. Mars Observer, launched in September 1992, was also lost shortly before its arrival at Mars. An ambitious mission to set another space probe, known as the Mars Polar Lander, down on the frigid terrain near the edge of Mars's south polar cap also ended in failure during descent and landing. On 17 February 1996, NASA launched the NEAR (Near Earth Asteroid Rendezvous) space probe via a Delta 2 rocket. The probe's main destination was the asteroid known as 433 Eros. Eros is one of the largest and best-observed of the asteroids whose orbit crosses that of Earth. NEAR began orbiting Eros in February 2000. The probe surveyed the asteroid at altitudes as close as 24 km and sent back images of the surface. Although NEAR was never designed to land on the asteroid, it did make a successful landing on 12 February 2001. Thrusters on NEAR were used to slow its descent to about 8 km/h prior to impact. NEAR's safe landing was confirmed when mission control received a signal from the craft resting on the surface of Eros, some 320 million km from Earth. Before hitting the surface, NEAR took many close-up pictures of the asteroid. The pictures revealed craters, mysterious bright spots, and boulders the size of soccer fields. Eros became only the fifth body in the Solar System touched by a human spacecraft, following the Moon, Mars, Venus and Jupiter. Communications with the NEAR spacecraft ended in 2001. 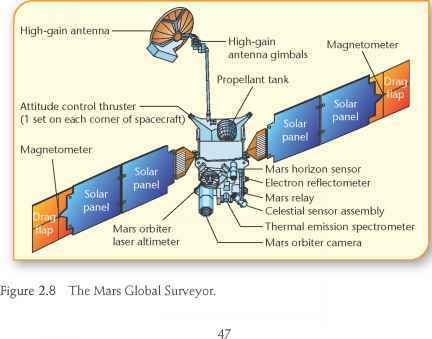 Mars Global Surveyor is the first in a series of spacecraft to explore the red planet Mars. 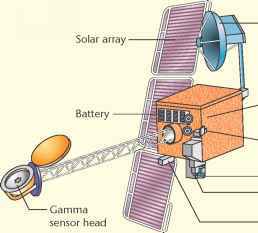 NASA launched the first probe in the series on 7 November 1996, and it entered orbit around Mars in September 1997. The probe orbits Mars once every two hours in a nearly circular path that passes over the Martian poles at an altitude of around 400 km. 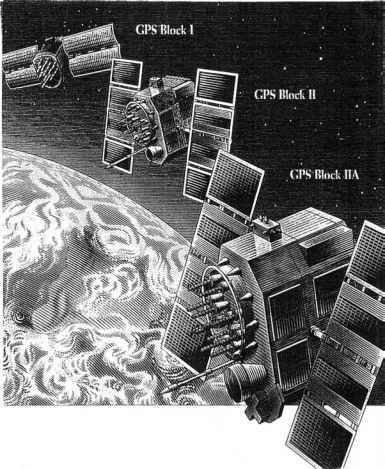 Scientific instruments on the spacecraft included a thermal emission spectrometer (to examine minerals), a laser altimeter (to produce the first three-dimensional images of the surface topology), a magnetometer (to measure the magnetic field), a camera, and radio relay system. atmosphere), weather patterns, water vapour distributions and the geology of the interior of Mars. Mars Pathfinder is the second probe of the Mars Surveyor Program conducted by NASA. The mission consists of a stationary lander and surface rover (robot) known as Sojourner. The mission's main objective was the exploration of the surface of Mars at a low cost. The probe was launched in December 1996 and landed successfully on Mars in July 1997 following a descent using parachutes, rockets and airbags to soften the landing. The landing site, an ancient floodplain in Mars's northern hemisphere known as Ares Vallis, is among the rockiest parts of Mars. 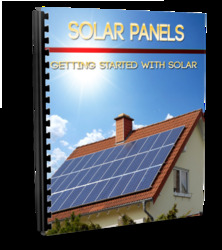 Once on the ground, three solar panels were unfolded to provide power for the lander. 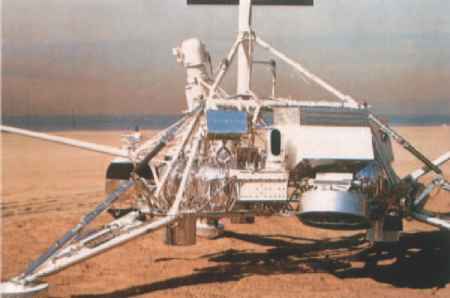 Scientific instruments carried aboard Pathfinder included the lander's camera, the atmospheric structure instrument/meteorology package, and the rover's alpha proton X-ray spectrometer. The lander's camera was a stereo imaging system with navigational and colour capability. The atmospheric and meteorology package acquired atmospheric data during the descent of the lander as well as from the ground. The alpha proton X-ray spectrometer was designed to determine the elements that make up the rocks and soil on Mars. After landing, Mars Pathfinder sent back to Earth more than 16 000 images from the lander and 550 images from the rover, as well as more than 15 chemical analyses of rocks and extensive data on winds and weather factors. The Pathfinder mission lasted three times longer than expected and returned a large amount of data. The mission ended late in 1997 when communication with the probes was lost because the main batteries on the spacecraft and rover ran out of power. Major milestones of the mission were the ability to place a spacecraft on the surface of another planet by way of direct entry into its atmosphere, and the ability to explore the surface of a planet using a roving robotic machine. The Pathfinder rover was named after Sojourner Truth, an African-American campaigner who lived during the time of the US Civil War and travelled throughout the country advocating the rights of all people to be free. The name Sojourner, which means 'traveller', was the winning entry in a year-long competition in which students 18 years and younger submitted essays on the historical accomplishments of a heroine of their choosing. Launched on 15 October 1997, the Cassini mission to Saturn is a joint project of NASA, the ESA and the Italian Space Agency. The spacecraft, which included the Huygens probe, the launch adaptor and the propellant, was about the size of a school bus and weighed 5.6 tonnes, making it the third heaviest craft launched into space. The probe cost $4.7 billion and contained a record number of 12 instruments to help it explore Saturn's rings, its 31 known moons, and magnetosphere. Cassini was also equipped with special radio antennae to record sounds. Flying directly to Saturn would have required much more fuel than Cassini could carry, so gravity assist fly-bys of Venus, Earth and Jupiter were used. The craft reached Saturn in June 2004. In its first week around Saturn, Cassini detected the moaning sound generated by the solar wind hitting Saturn's magnetic field. Cassini flew between Saturn's two outer rings at about 80 000 km/h before it slowed down enough to be captured by Saturn's gravity and begin orbiting the planet. The Huygens probe on board Cassini descended to the surface of Titan, Saturn's largest moon, in January 2005, sending back data and images. The Cassini orbiter used its onboard radar to peer through Titan's clouds and determine if there is liquid on the surface. Experiments aboard both orbiter and the entry probe investigated the chemical processes that produce this unique atmosphere. Titan is of interest to scientists because its atmosphere contains chemical compounds similar to those that resulted in life on Earth.